The Building Performance Institute (BPI) and Residential Energy Services Network (RESNET) have long been the leading organizations for residential energy auditing. Over the years, the gap distinguishing the two standards has closed significantly. 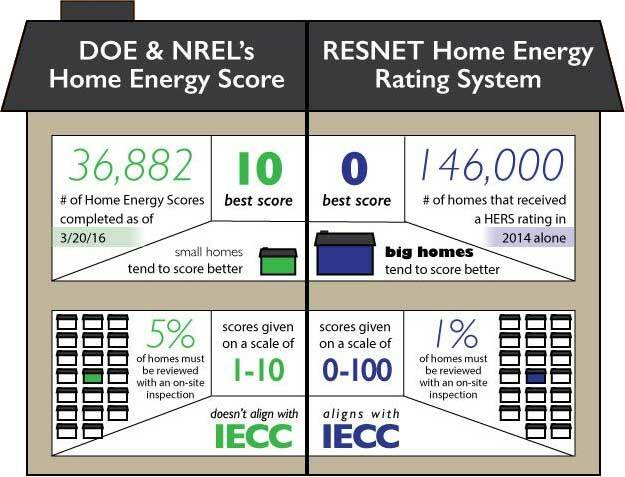 Now, BPI acting as the largest Home Energy Score Partner, the two organizations appear to have competing scales to compare the energy use of homes across the U.S. Let’s take a quick look at how these indexes differ. Sources: Home Energy Score webpage at energy.com. “DOE’s Home Energy Score and FHA Mortgages: New Tools to Help You Shop for and Buy and Energy Efficient House” at betterbuildingssolutioncenter.energy.com. Info compiled and designed by Everblue Training, LLC.